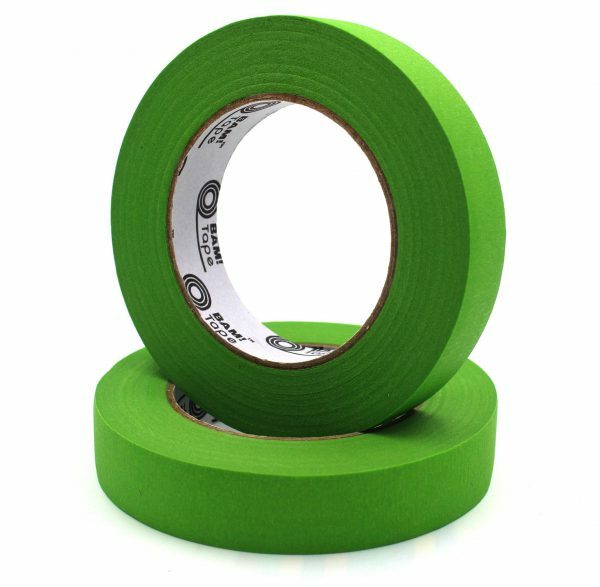 2 large rolls of Colorful Masking Tape. Use these rolls alone or refill the handy tape dispenser box. Sticks to most surfaces with no residue left behind. Please be sure to select the color in the dropdown list below before adding to cart. 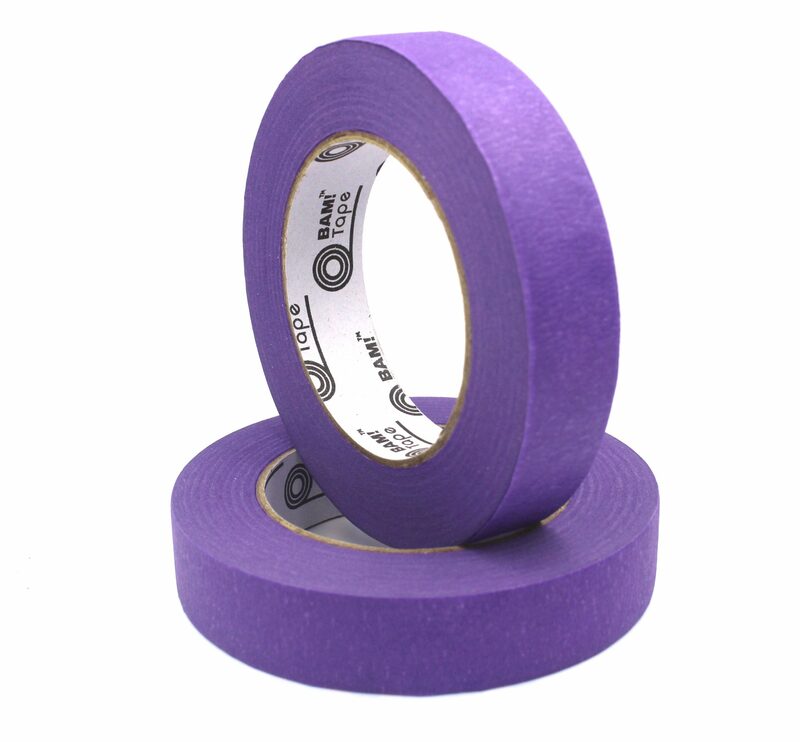 Be the hero at home and at school with our colored masking tape. Kids of all ages can create fun projects with BAM! Tape™. Use it for math, science, art and STEM projects. 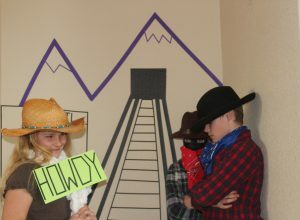 Create wall murals, photo booth backdrops and party decorations. Or use BAM! Tape™ for journaling and labeling. 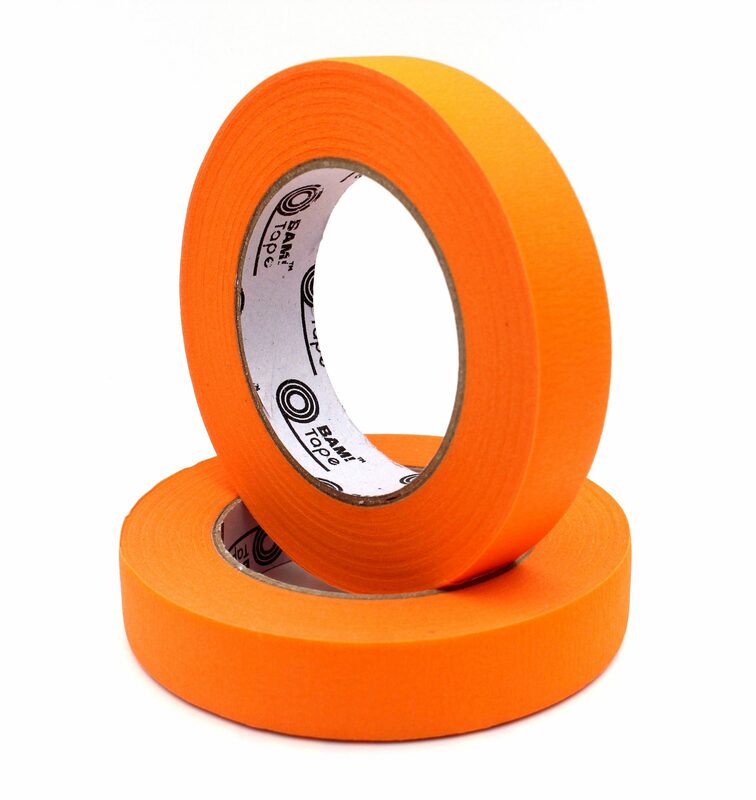 Our premium crepe paper tape refills are available in orange, purple, black, light green, red and pink. You get two large rolls that can be used alone or as a refill for our handy dispenser box. Enjoy Fun and Creative Projects With Colorful Decorative Tape by Bam! Tape™. 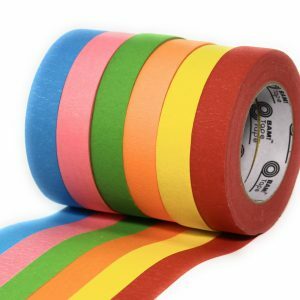 This value pack of 2 large 1 inch wide rolls of colored masking tape is great for anyone who is planning holiday decorations, classroom decorations, temporary home decor, art projects, event decorating, floor or sidewalk marking or even color coding and labeling projects! These high quality tapes are a must have for parents, grade school teachers, preschool teachers, museum staff, babysitters, art teachers and music teachers. Bam! 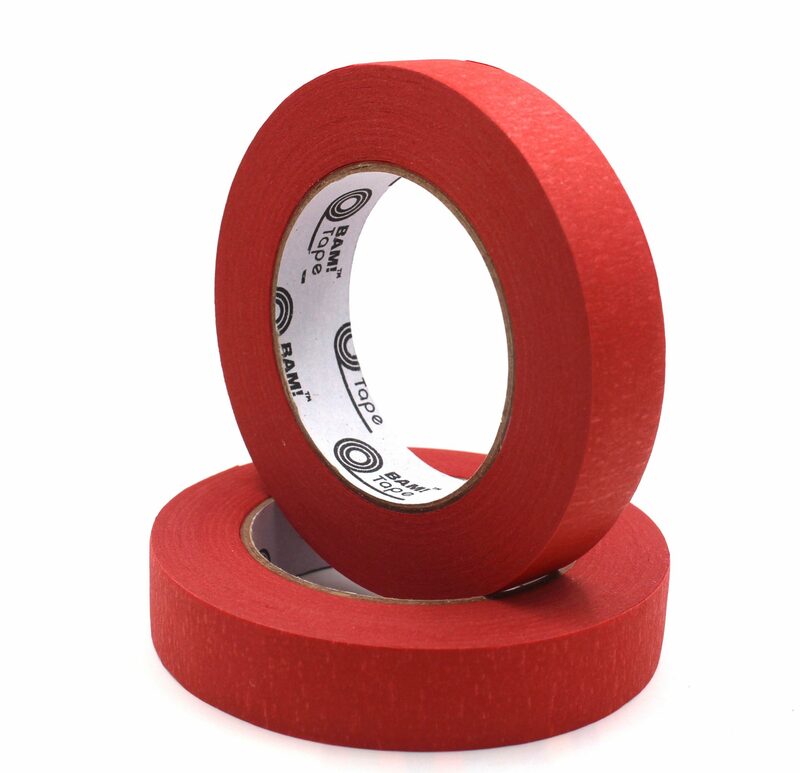 Tape™ crepe paper masking tape is strong, flexible, durable and easily removed. It peels and tears off the roll easily and repositioning is no problem. Forget about tiny rolls of washi tape and expensive tapes in limited colors. Compare to scotch and save money! 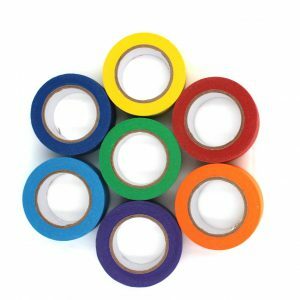 Use colored masking tape for sticker labels and color coding boxes and bins. Our stunning colors will inspire your holiday decorating, party decor, art projects for children and even math projects. If you need to teach shapes or colors, try making it fun with colorful tape. Fine motor skill activities are fun when little hands are tearing tape and using it for creative projects. Create roadways and train tracks with your children and watch their excitement as they play with their vehicles and people! If you need a durable masking tape to mark floors or even outdoor surfaces, we have you covered. 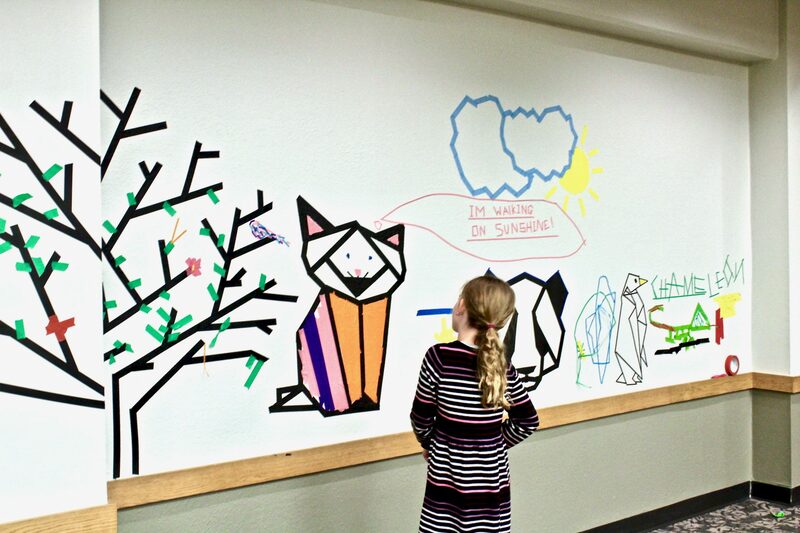 Use colorful strips of masking tape to mark floors where kids line up or stand for school performances. Save money and get 2 bright rolls of the color of your choice. This makes a great teacher gift. Dimensions: 1 inch x 60 yards for a total of 120 yards. Enjoy 2 large rolls of brilliant masking tape. BAM! 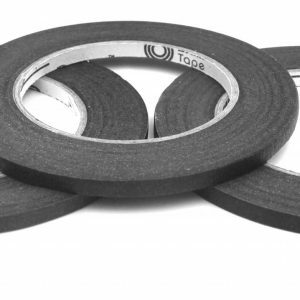 Tape™ is low tack and is easily repositioned. It is flexible and durable and tears off the roll without splitting. 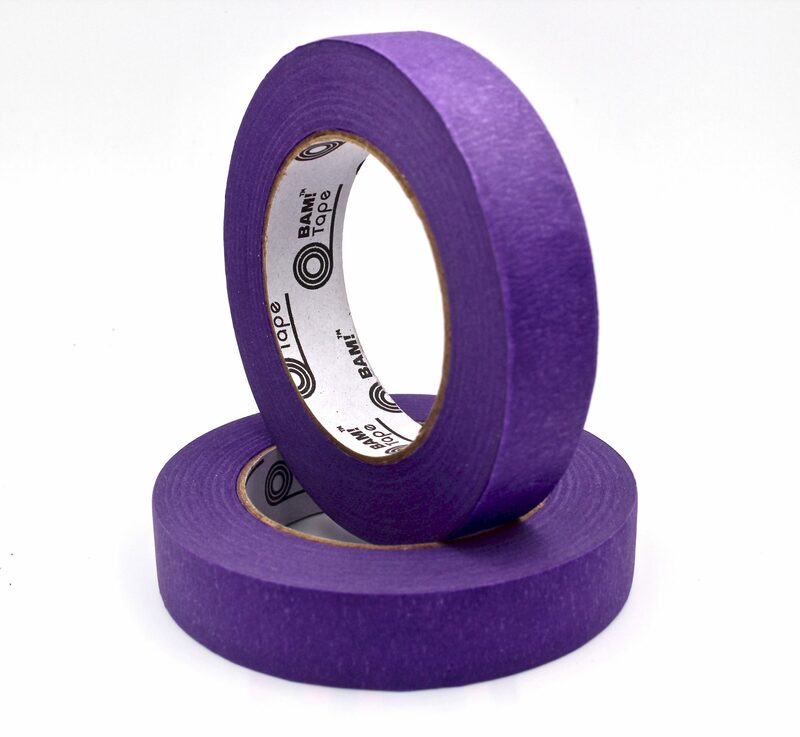 The colors do not fade, and the tape sticks to most hard surfaces. BAM! Tape™ is strong, but not strong enough for your kids to tape their sibling to a wall, so tell them not to get any ideas. With your BAM! Tape™ purchase, you receive access to Tape Town, a whimsical place where you can find even more projects and inspiration. Shhh… it’s a special place for BAM! Tape™ customers only. BAM! Tape™ is a perfect gift for both children and adults. 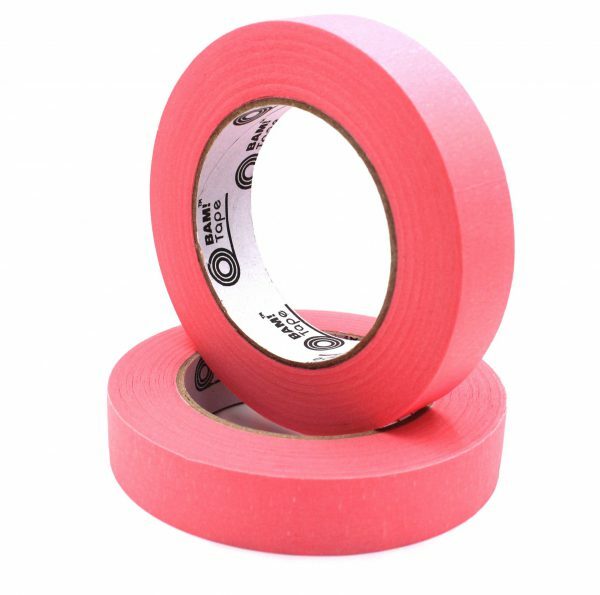 Teachers love using our colored masking tape in their classrooms, kids love using it everywhere, and parents really love it on busy days! BAM! 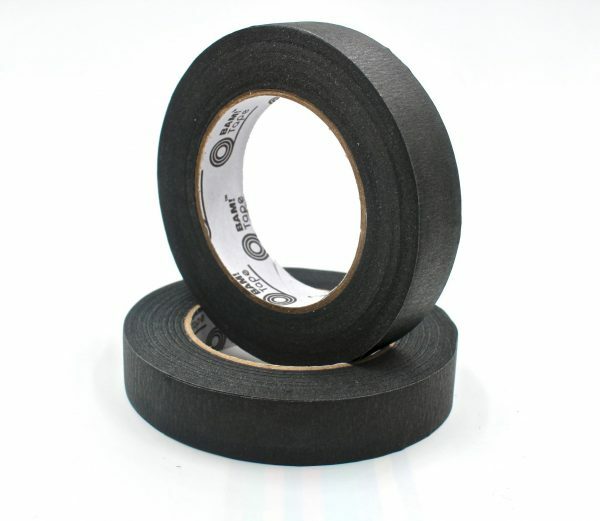 Tape™ makes a great teacher or birthday gift. Donate a pack of creative fun to your local library, museum, youth program or shelter.